For more than two decades we have serviced homeowners across Vancouver Island, upgrading customer properties with custom vinyl decking. Whether you are modifying an existing deck or installing a brand new one, we will help you achieve the best results possible using the best products on the market like Tufdek vinyl decking systems. 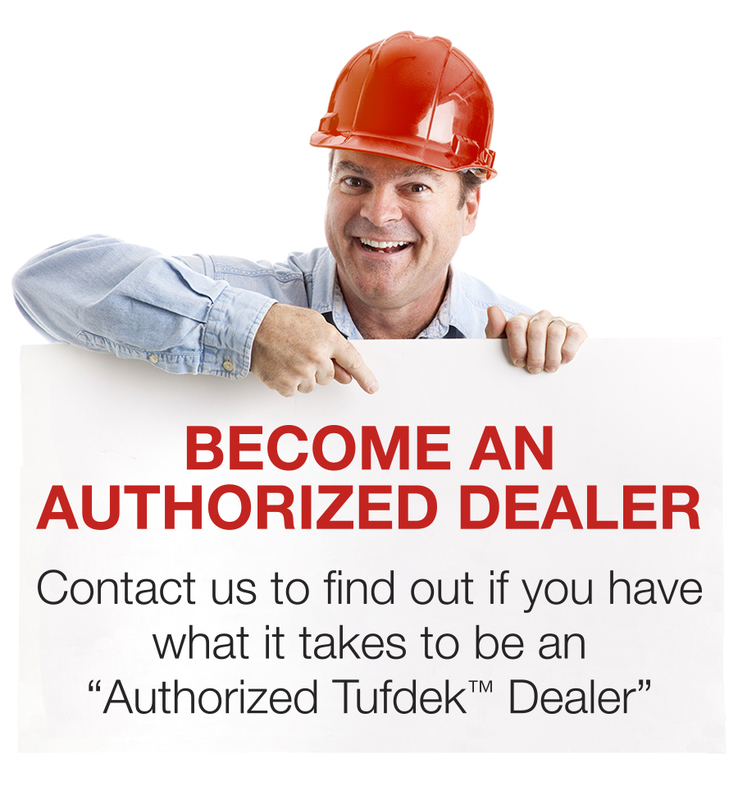 As an Authorized Tufdek™ vinyl deck dealer and installer, we strive to attain the highest standards of integrity, dependability, good value, and craftsmanship. Each project team is committed to completing the deck restoration on time, within budget, and to your complete satisfaction. Tufdek™ is much more than just waterproof vinyl decking – it is the result of more than 20 years of research, lab tests, and field testing in order to create the best waterproof deck and roof decking system in the industry. The look and performance of Tufdek products far exceeds any other brand; it is the best of the best. “Our deck was completed with speed and efficiency, with a noticeable attention to detail. Very friendly and polite service. All in all our deck was beautifully done and we love it!” – Taren P.
We’re sure that you too will be wowed by our professional deck building service as well as the long lasting benefits of Tufdek™ vinyl decking products, because Tufdek is resistant to damage from fire, mold, mildew, UV Rays, and more. In the long run, Tufdek’s Aqueous Based Inks with Polycarbonate Top Finish vinyl decking system is easy to clean and will provide years of maintenance free protection, thus improving your deck’s longevity. Best of all, Tuff Industries offers a comprehensive product warranty to give you the peace of mind that you made the right decision. All or our professional vinyl deck installers are employees and covered by our up-to-date liability insurance and WCB enrollment. We’d be happy to find a time that fits your schedule to meet with you. We’ll explain how the Tufdek™ waterproof vinyl decking system works. We’ll listen to what your goals are and carefully determine a scope of work for your project. We can then provide a complimentary written estimate to resurface your deck. For more information about how we can help you enjoy the benefits of Tufdek waterproof vinyl decking products, please call us at 1-877-860-9333 or complete the following contact form.